Since mid-January a solar powered Speed Indicator Device, SID for short, has appeared in the village. 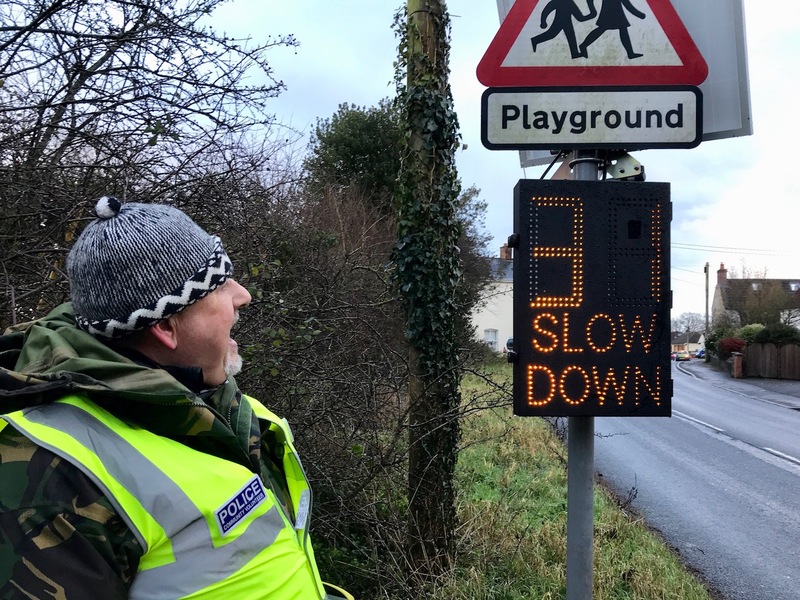 According to residents, the SID has already made a very welcome noticeable reduction in the speed of vehicles entering the village from the Frome direction. The speed limit on the A3098 is 30mph. The SID was procured by the Parish Council following much work to get approval and partial funding from Wiltshire County Council Area Board, but it would not have happened without the determined efforts of our wonderful Speedwatch team, in particular Councillor Phil Holihead, who submitted the detailed proposal. No matter how inclement the weather, data is downloaded onto a laptop for analysis. Phil says that the next step is to get site approval and funding to erect another pole and fixings at the Westbury end of the village so that the SID can be moved on a regular basis in accordance with Wiltshire Council guidelines. The volunteer Chapmanslade Community Speed-watch (CSW) Team currently has 9 members who stand at 4 approved sites along the High Street: 2 at the Westbury end, 1 in the middle, and 1 at the Frome end. 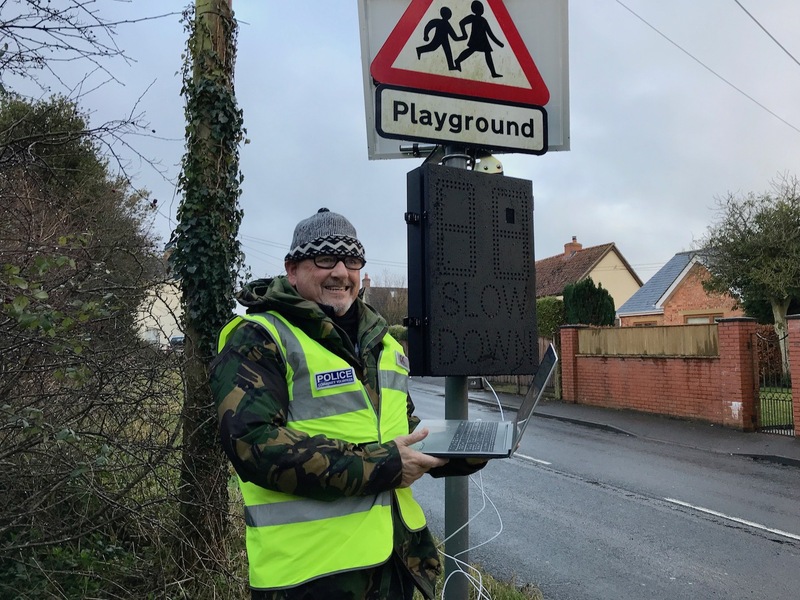 Phil explained, “All CSW reports of speeding vehicles are sent to Wilts Police who then either send a letter to the offender, or if over 40mph, they will visit them. Action is also taken against repeat offenders. Similar schemes have been established with adjoining counties to ensure out-of-county drivers are not exempt. Phil goes on to say, “We’re a friendly and open village so whilst we want visitors to come to Chapmanslade to enjoy our village by attending our events, taking advantage of our network of over 30 footpaths, and having a meal in our great local pub, The Three Horseshoes, we want to discourage drivers who speed through the village endangering our community when using us as a short cut between the A36 and other trunk roads. Hence the need for Community Speedwatch and our new SID. A strong relationship has been built between the community and Wilts Police over the last few years. For example, the local PCSO joined pupils from Busy Bees pre-school earlier this year to assist the Speedwatch team. Also, Wilts Police regularly carryout speed checks along Chapmanslade High Street.